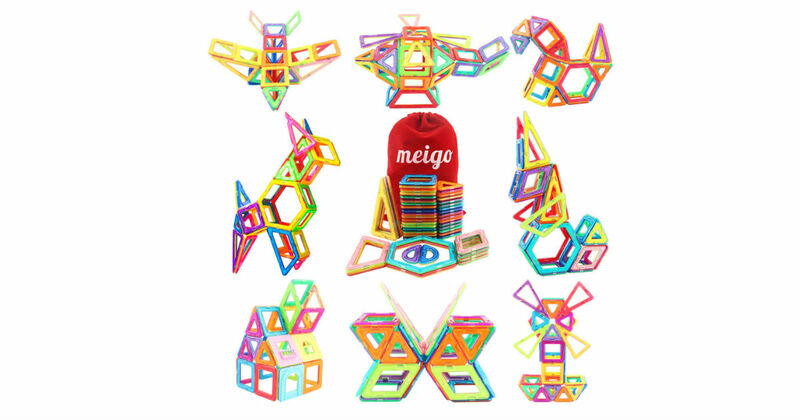 Clip a 20% off digital coupon on Amazon to score this 51-Piece Meigo Magnetic Block Set for only $21.59, regularly $49.99. Every magnetic tile is made of durable ABS plastic. Powerful permanent magnet make you fit the magnetic tiles in patterns easily.